Magnesium helps build strong bones by converting vitamin D to its active form and setting in motion key enzymes that stimulate bone cells. Vitamin D plays an important role in protecting your bones, both by helping your body absorb calcium and by supporting muscles needed to avoid falls. Children need vitamin D to build strong bones, and adults need it to keep their bones strong and healthy. Tagara Capsule is used for Sleeping disorder, Mild tremors, Indigestion, Joint pain, Dysuria, Dyspepsia, Arthralgia, Cephalalgia, Headache, Wounds and other conditions. Tagara Capsule may also be used for purposes not listed in this medication guide. Tagara Capsule contains Tagar as an active ingredient. 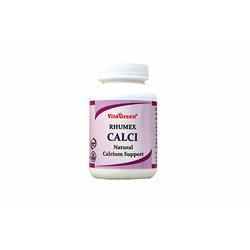 we are offering wide range of Ayurvedic and Herbal Health Supplement.